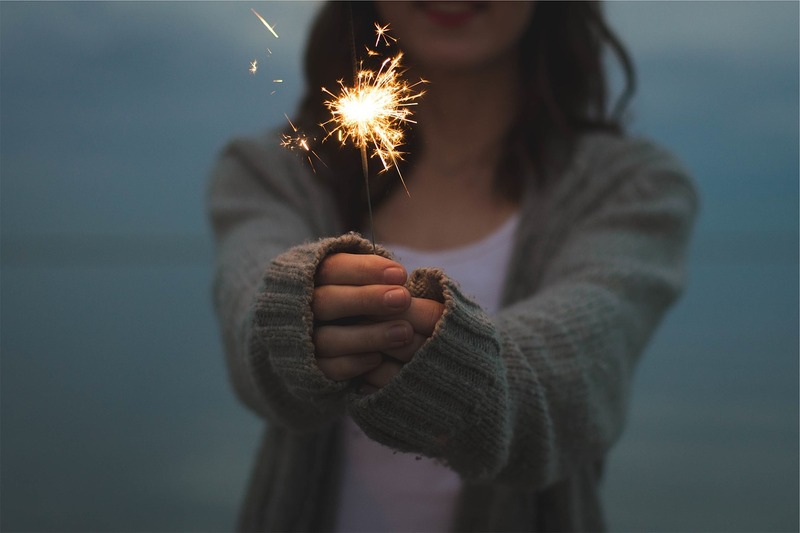 Ditch the Resolutions – Set Intentions Instead! It’s that time of year again. Time to reflect back on 2018 and think about what we want to accomplish, who we want to be, and how we want 2019 to pan out for ourselves. Personally, I don’t have a great track record with resolutions. When I have set them in the past, they’ve usually been born out of negativity. I would be so focused on all the things I wasn’t happy about during the prior year and would vow to change all those things. Instead of walking into the new year open to new possibilities and experiences, I would basically guilt myself into trying harder to do the things I thought I should be doing. It’s easy for this to just become a big list of overwhelming things to change that each require considerable time and effort. Some of the most common resolutions revolve around losing weight, eating differently, exercising more. I certainly don’t think there’s anything wrong with wanting to make healthy changes (in fact I encourage it, obvi!) but how we go about making those changes and why we are doing it is just as, if not more, important than the specific changes are that we want to make. This is why I think it’s wise to set intentions and not resolutions. Intentions leave you open to new experiences and aren’t attached to a specific outcome. They are more fluid and can change as you change and grow. Instead of setting a New Year’s resolution to lose 20 pounds, workout 3x per week, and stop eating “bad” carbs, maybe you set an intention to prioritize truly nourishing your body so that you can have the energy to live the life you want to live. With your gaze on that intention, your decision making around food may be more likely to include more of the foods that add to good health and less of the ones that detract from it. This helps to set you up to make intentional choices about the foods you’re eating but can still allow for some indulgences. You’ll be less likely to mindlessly eat the junky foods and just choose the treats that are really worth it. Maybe you set an intention to move your body with purpose each day. That opens you up to different forms of movement and exercise and can allow you to give yourself a break if you’re not feeling like you could get through a full intensive workout. You could instead choose to go for a brisk walk that day or do a 15 minute yoga video. This way you’re still progressing forward with the intention of purposeful movement, without the guilt if you don’t get the prescribed workout that you were “supposed” to do. I think it’s helpful to have different levels of intentions. You might think about some intentions for the upcoming year but you can also set monthly, weekly, and daily ones. Maybe you have intentions for 2019 to be a year of more mindfulness. You can move with purpose toward that happening by setting daily intentions that start with sitting quietly for 2 minutes. Then maybe the next week your intention changes to following a 10 minute guided meditation every day, or something along those lines. Setting intentions gives direction to your life. It is a call to action because we move toward what we set our gaze on. There will be slip ups but that’s okay because intentions also focus on the process more than just the end goal. To focus on the process, we must be actively involved, so that means being mindful about what those intentions are. Resolutions are often things we say we want to achieve and then that’s it. The first time we bail on a workout or have a cookie it feels like we’ve failed at the resolution. We feel guilty and we usually just fall farther away from meeting the goal of that resolution. Sit down and write down how you want to feel and what you want to be able to do. What aches and pains would you like to see go away? Would you like to be able to wake up in the morning and feel like you have energy to not only get through but enjoy the day? Write down what barriers you anticipate encountering. Daily, weekly, monthly, etc. There always will be barriers so just think about them ahead of time. Birthday parties, holidays, busy schedules, etc. What are the things that have stopped you in the past from eating healthy foods or moving your body more? Write down how you will know that you’re moving in the direction you want to go. What does life look like for you when you are living your life with the intentions that you’re setting? What do you need to set yourself up for success? Maybe you need to exchange intentions with a friend so you can encourage one another. Maybe you need to hire a coach or someone to help hold you accountable. Maybe you need to say no to certain things or just tell your family or friends what it is you need to move yourself forward. I certainly think having goals are important and I think goals and intentions can go hand in hand. Resolutions seem more cut and dry to me, and easy to forget about. Let’s say you still want to lose those 20lbs mentioned earlier – that may be a goal, but if you set that goal in conjunction with the daily intention to love your body, the process of getting to that weight loss will be different. Just having the weight loss goal could encourage deprivation, over-exercise, and a self-defeating mindset. Having the 20lb goal with the intention to love your body each day might manifest as choosing nutrient dense foods 90% of the time because you know you’re actually giving your cells what they need but you allow a little wiggle room to still live your life. It might mean showing yourself grace after a really busy day and opting to go to bed one hour earlier instead of trying to jam a workout in. Or it may mean choosing to get up a little earlier on the weekend to get a workout in because you know your body is capable and you know you’ll be proud of yourself afterwards. I hope this resonates with you. I love to hear from you! Do you generally make resolutions and if so, do you keep them? Do you think setting intentions instead might be helpful? Well said, Liz, this truly resonates with me! Thank you, I’m so glad to hear that, Maura!